Story and Photos by LuAnn Cadd. It’s my third flight of the day. The two propellers dissolve into a blur as the plane begins to rapidly move down the grassy airstrip, lifting off the ground in a steep climb. Suddenly the girl sitting next to me on the back row doubles over. I look at her brother with an expression of concern. ‘Is she sick? What’s wrong?’ He leans over and shouts above the noise of the engines. ‘It’s her first time. I’ve flown before,’ Hitton explains with an obvious bit of pride. It’s his second flight with MAF. 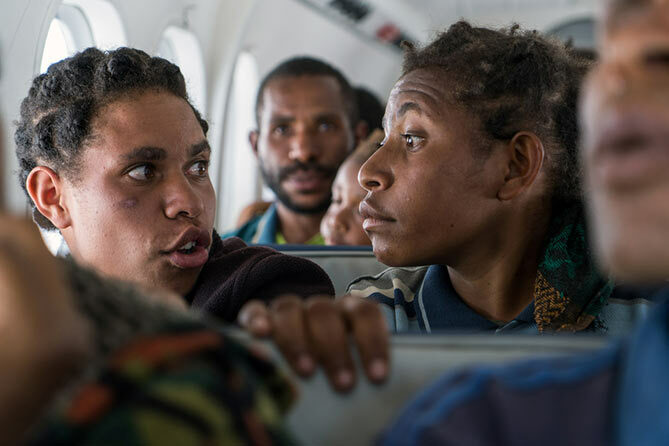 As the plane jerks in a pocket of turbulence, Galcie grabs her brother’s wrist in a death-grip, squeezes her eyes as tight as she can and cries, ‘Oh Jesus, Jesus, Jesus!’ I can tell it’s a prayer, not a swear. Since the time of our family’s move to the Philippines when I was just four, I’ve sat in more planes than I could ever count, from the largest modern airliners to tiny two-seaters. I love the differences in each aircraft model, and in particular, I love seeing the unique way MAF uses their planes for ministry, humanitarian assistance, and community support. But it’s my first time to fly in a Twin Otter and I will confess right here: I’m a nervous small plane passenger. I just hide it better than Galcie. In particular, I don’t like mountain flying, for which I blame my bush-pilot brother. He loves to tell crash stories and they mostly take place in mountains. 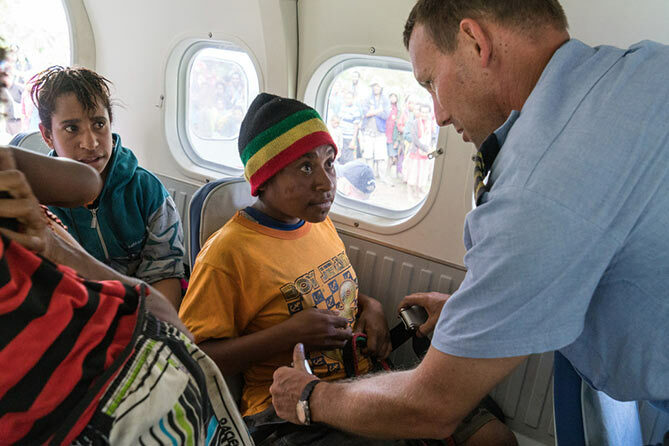 There are dangers inherent to these particular mountains of PNG, and MAF goes to extreme lengths to make sure that the pilots are experienced and able to make the right decisions each step of the way. It must be a safe flight or there is no flight. I would not be doing this with anyone else. 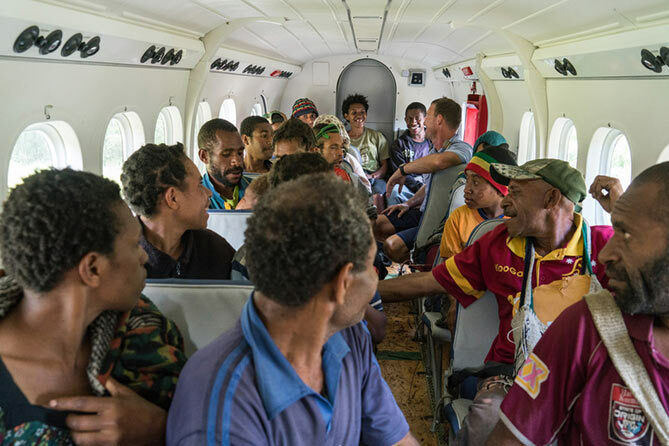 My ‘day’ actually begins the night before when the two pilots, Jason Marsh and Brad Venter, plus Caravan pilot Mike Dupuis and I, stay overnight in Telefomin, a medium-sized community in an isolated valley where MAF has a base they call an ‘outstation’. Jason and Brad live with their families on the opposite side of the country, but this area has a huge demand for Twin Otter flights. 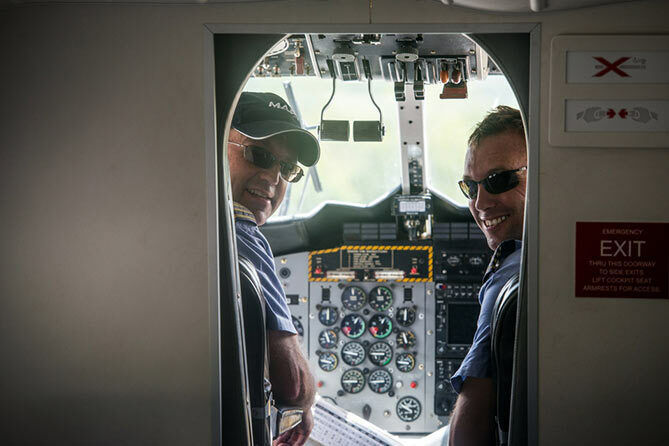 MAF has since placed two to three permanent pilots and their families here, which should reduce the need for long-distance commutes or overnights for Jason and Brad. We leave early the following morning, walking the kilometer from the MAF houses to the airstrip. Knowing it’s my first time on a Twin Otter, Brad informs me that at takeoff it will look like he and Jason are holding hands but assures me they are not. Many jokes follow. 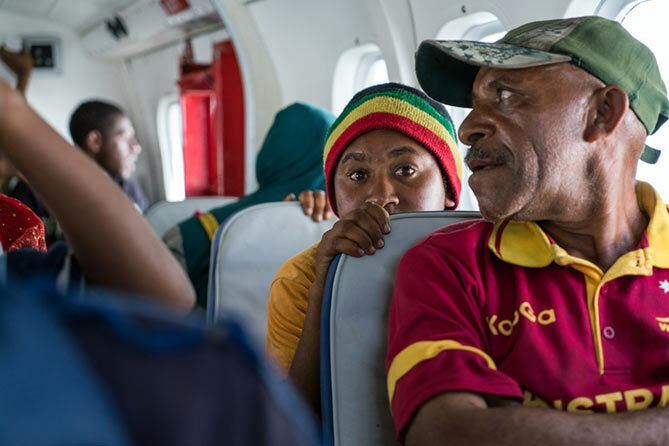 The first flight takes cargo from Telefomin to the larger town of Tabubil. 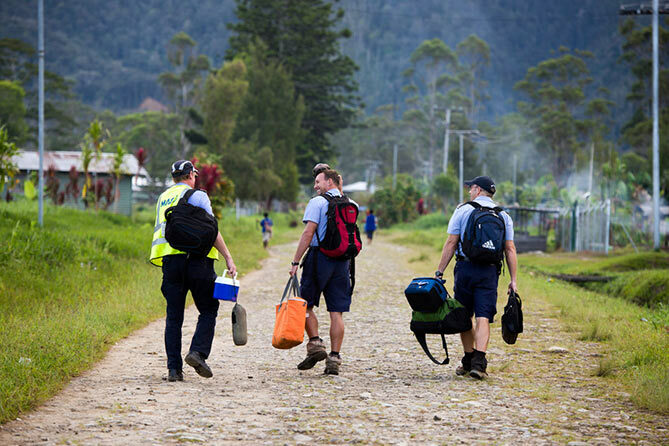 It is connected by a road, thanks to nearby gold and copper mining, and is a main stop for picking up building supplies to take to remote communities. As the plane is loaded with heavy corrugated roofing sheets and metal pipes for Wobagen, Francis, MAF’s traffic officer based in Tabubil, tells me Wobagen is his home. The community raised the money to buy these materials to build a church as the current one is old and made from bush materials. ‘There’s no road to Wobagen. The only way is by airplane,’ he tells me. ‘To walk to Wobagen from Tabubil takes one week, depending on how fast you walk or how heavy your load is.’ I look again at the heavy pipes being loaded onto the plane and imagine how many people it would take to carry this load for a week through the mountains. Jason flies above the clouds and mountain tops until Wobagen is below us then makes a sharp turn and dives through a hole in the clouds. At least that’s what it feels like. 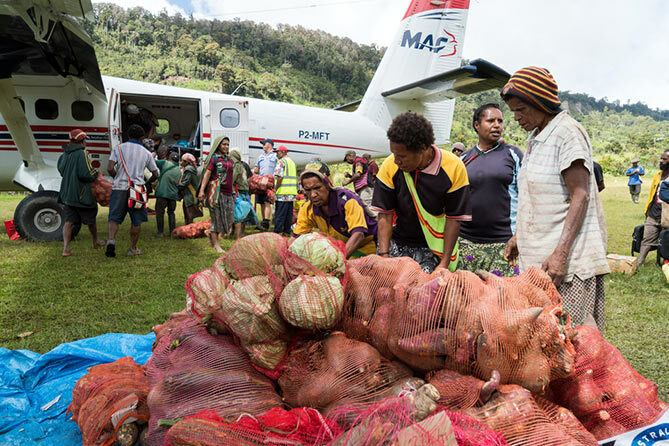 Several loops toward the ground and we land at the grassy Wobagen airstrip where a crowd of men and women converge on the plane to help unload the heavy materials and replace them with bags of produce to sell in the town. At Wobagen I meet Freddie Taran, a primary school teacher who was instrumental in starting the church and inspiring the community to build a better structure. 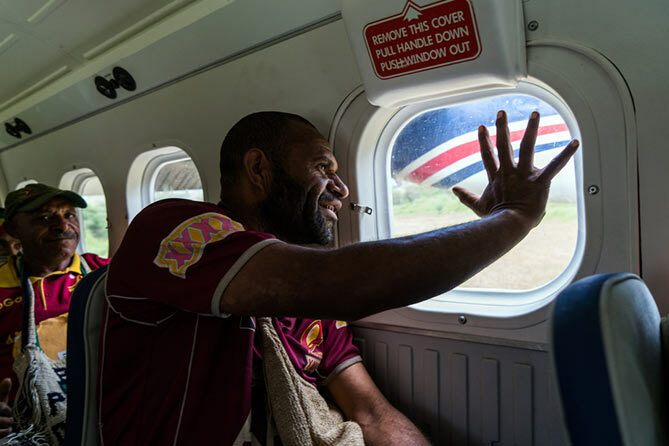 ‘We have this convenient aviation service provided by MAF, and we are so pleased that it can bring a maximum load per flight,’ he says. This is where Galcie and brother Hitton join me. It’s not only Galcie’s first time to fly. It’s her first time, at 19, to leave her village. She’s not enjoying the experience. 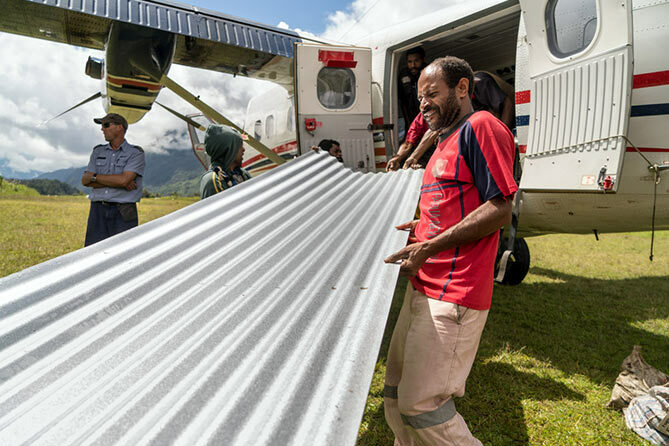 We fly back to Tabubil, load the plane up once again with building materials, and fly to Tekin, an airstrip tucked up against a mountain in a long stunning valley. The materials are again unloaded and Brad begins folding seats down for the next full flight – 20 passengers including me. Brad checks each passenger’s seat belt and gives some reassuring words and his winning smile to a few of the younger passengers who look a bit nervous. In fluent Tok Pisin, he speaks to the group about safety procedures, making jokes and getting laughs. As we take to the skies once again, it’s clear there are some terrified first-timers. One girl leans forward the entire journey, gripping the back of the seat in front of her, eyes wide. Another holds tightly to an arm across the aisle, tears running down her cheeks. But one delighted couple point out the sights to their four-year old son sitting on dad’s lap. We fly to Telefomin with another load of materials, then head east to Mt Hagen where I say goodbye. 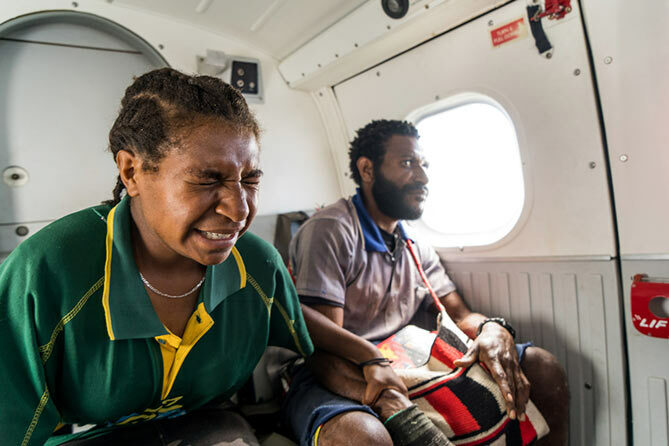 Jason and Brad barely have enough time to make it to their home, Goroka, before dark. ‘Sometimes flying the Twin Otter you can forget about the impact that our work has,’ Brad tells me. ‘In the business of the day and the need to keep the program going while making decisions about weather and airstrip conditions amongst others, it is easy to just treat each flight and it’s load as exactly that, just a load.